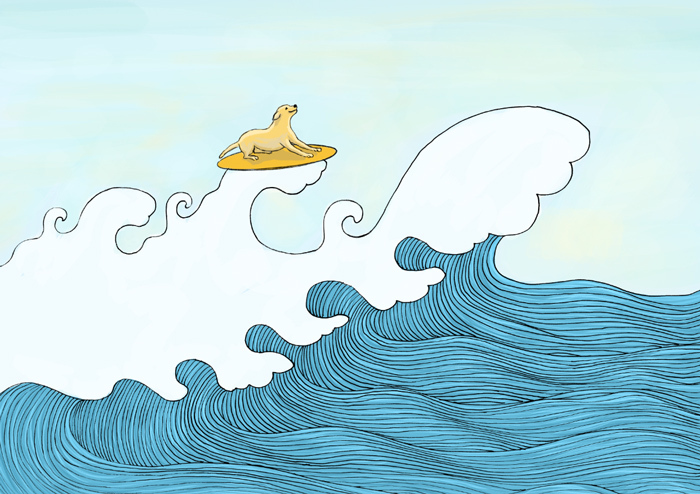 Sep3September 3, 2014 • By Helen H. Wu • This entry was posted in Illustration, Painting and tagged animal, art print, Artwork for sale, beach, blue, diving, dog, Etsy, fun, Home Decor, Illustration, labrador, painting, pet lovers, pets, Print, sale, sea, summer, sunny, surf, swim, swimming, wall decor, water, wave, white water, yellow lab. Bookmark the permalink. Fun! I like the lines in your waves. It adds texture and makes the ocean feel alive.